Although the term 'therapy cats' might sound like the name of some contemporary jazz band, in fact, it describes a group of animals that can have the same positive effects on humans that music can, and so much more besides. In this article, we are going to define what a therapy cat is, the ways in which therapy cats can help humans, and what it takes for a cat to be regarded as suitable to be a therapy cat. Which Cat Breeds are Suitable to Become Therapy Cats? Which Characteristics Should a Therapy Cat Have? The definition of a therapy cat is a cat which has been deemed suitable to interact with humans in such a way that it provides medical benefits. These aren't benefits in relation to medical insurance but clinical benefits such as reducing stress, lowering blood pressure and helping other emotional issues. With its loving nature, any cat could be deemed to be providing therapy from time to time for its owner. Anyone who has owned and felt the love and affection their cat has for them will know how relaxing and therapeutic that can be. As good as that might be, to be regarded as a therapy cat for the purposes of treating patients, or simply providing therapeutic benefits to other individuals, a cat should in some way have been trained or certified as such. The problem here is there are no nationally recognized nor legally based criteria for this. There is also some confusion whereby therapy cats are sometimes thought of as the same as service animals. They are not, and as it stands, a cat cannot be a service animal. Only a dog, and in special cases, a horse, can be one. For clarification, service animals are primarily trained to help those with physical disabilities such as blindness, deafness, or confinement to a wheelchair. The most common example of a service animal is a guide dog. Know that there are some requirements you should meet and be able to comply having a therapy cat at home. The list of conditions that therapy cats can bring some relief to, isn’t endless but it is comprehensive. They tend to be those which could be described as emotional or behavioral but as these conditions are relieved, there are many physical benefits which can accrue too. 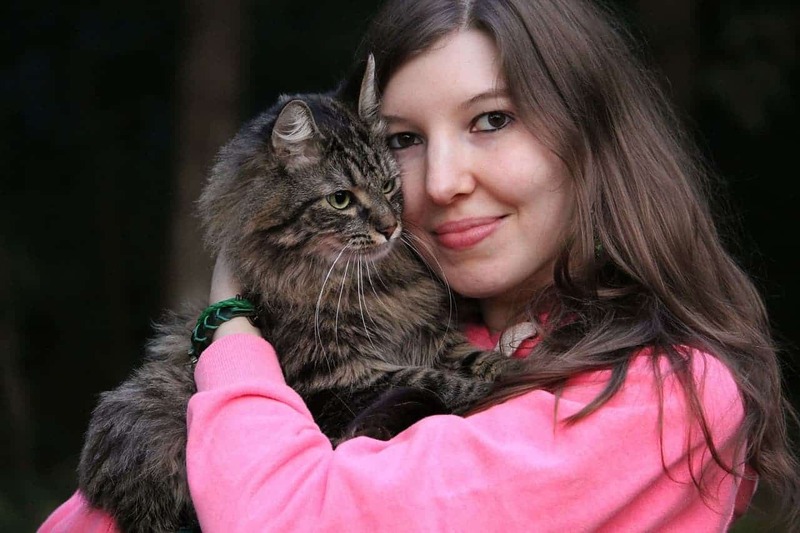 One thing which therapy cat treatment does not seem to have a limit on is the age of the beneficiary, and that applies at either end of the age scale. They are used to provide therapy for young children all the way through to the elderly and every age group in between. Here are the most common ailments and conditions that therapy cats are used to alleviate. 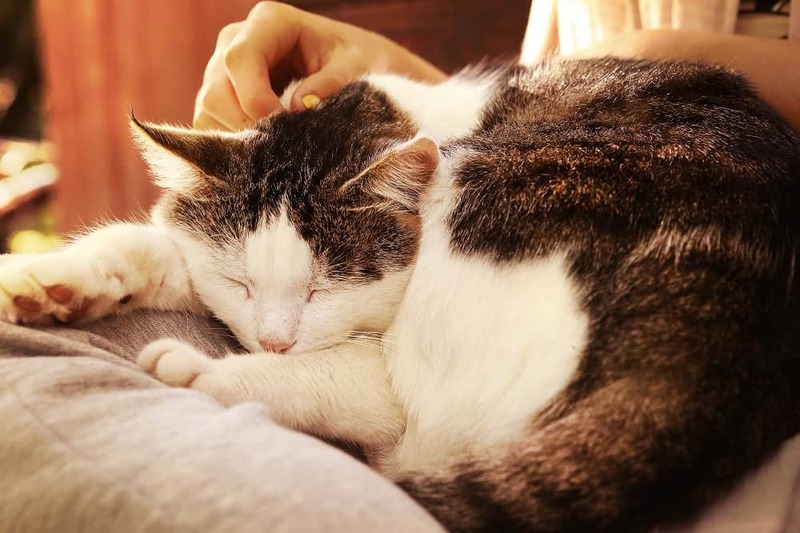 The mere act of holding a calm and relaxed cat in your arms or on your lap can lower stress and anxiety levels to the point where you are as relaxed as the cat is. If the cat purrs while being held, many people say it magnifies the state of calmness. The longer you can enjoy these soothing moments the more likely it is that your blood pressure could fall too, and the additional benefit of low blood pressure is a healthier cardiovascular system, which includes your heart. This is a condition which can be genetic and is very prevalent amongst children, although it can be something which afflicts adults too. ADHD manifests itself in many ways but the most common are hyperactivity, impulsive or rash behavior and inattentiveness. Therapy cats help with ADHD in several ways. Autism is often misunderstood by those who have no connection with it, and to be fair even scientists are not 100% sure of all its causes. Defined simply, it is a chronic condition affecting social interaction, behaviors and communication. It is normally first diagnosed in young children, there is no cure, and treatment is done in conjunction with therapists and behaviorists. The evidence that therapy cats can help in that treatment is extensive. As symptoms and behaviors will vary from child to child a therapy cat can have a positive effect on their emotional development, social skills, communication skills, and their confidence. Geriatrics is a rather unpleasant sounding word, which covers those ailments which afflict the elderly such as dementia, Alzheimer's and chronic arthritis to name but three. While a therapy cat can't reverse any of these chronic ailments, what they can do is give the elderly person suffering from them, some comfort, companionship and affection. 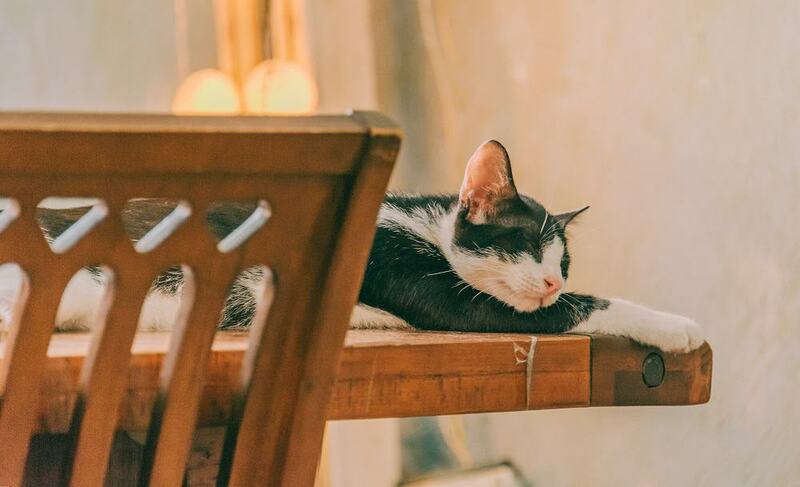 These three simple things can often be enough to give the cat's owner other benefits which can help limit their symptoms and improve their general health. There are no hard and fast rules about whether a certain breed of cat can or cannot become a therapy cat, but there are some that are more likely to. Although tabby is not a cat breed in its own right, there are a couple of tabby breeds which have proven to be good therapy cats. The American Shorthair is one of them, and they are particularly effective because of their good nature when in the company of children. Another is the Abyssinian tabby, whose intelligence and outgoing nature make them ideal companions. Persian cats are wrongly considered to be very aloof cats, but the opposite is true. They give back as much love and affection as they receive. Being hairless, Sphynx cats may not look to be the cuddliest cats around, but what they lack in hair, they more than make up for in loyalty and love. Ragdolls are as cute and cuddly as their soft furry appearance would have you believe, and they make great therapy cats. They are comfortable around children, have a calm nature, and as companions, they are perfect due to their love of sitting on their owner's lap. The last type of cats we need to mention is mixed breeds. These will often not have some of the less desirable traits that some pure breeds can display like aloofness, and independence, which are both unsuitable for therapeutic purposes. 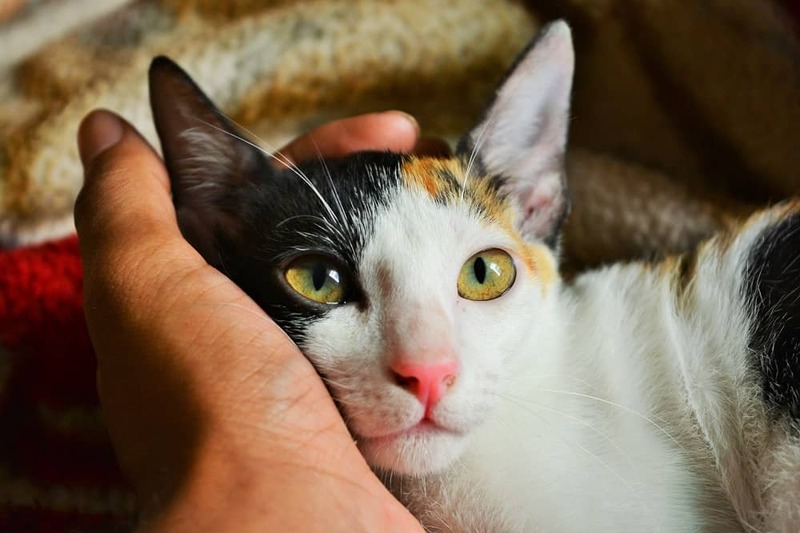 Female mixed breeds have proven to make excellent therapy cats, in many treatment areas, ranging from children with emotional problems to elderly patients with dementia. The main thing you need to assess when considering whether your, or any other cat has the potential to be a therapy cat, is its temperament. 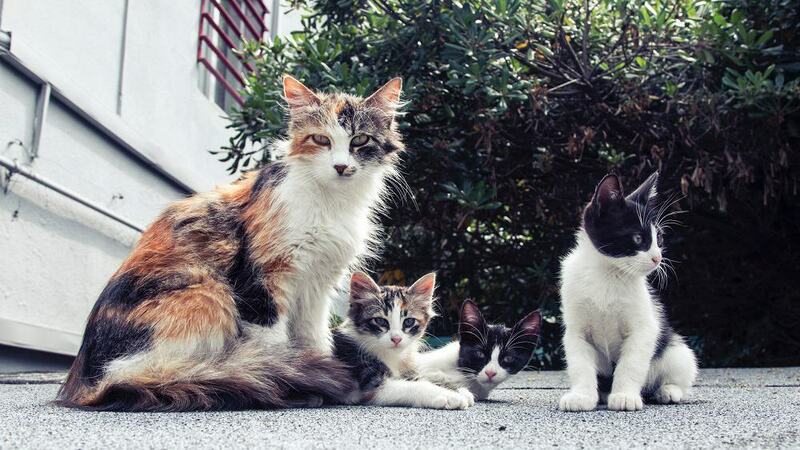 Unlike dogs, who are instinctively pack animals and love being part of a family, cats are more independent. That does not mean they don't love company, and there are countless examples of cats who follow their owners around like a puppy would. Ideally, you are looking for a cat who genuinely seems to enjoy the company of humans, and that includes children too. Evidence of this will be them being happy to be handled, carried and petted, even if that is done roughly, which brings us back to children again. Other traits you are looking for is calmness around people, even if there are a lot of them in the room, and they also need to be content when there are other animals around them too. Therapy cats should be unfazed by loud noises including machinery and medical equipment. It will often be the case that a therapy cat's patient or owner requires medical equipment nearby, so it is imperative that any noise it makes doesn't bother them. One of the issues in relation to therapy cats, is that there is no national association or board who has overall authority in relation to them. This means that legally, there isn't really any obligation to register them as a therapy cat or emotional support animal (ESA) as they are officially called. However, for those who have a therapy cat, or ESA, there are two laws that you can read about in the next section which having your therapy cat certified can be very advantageous There are countless websites online who have ESA registration schemes, but it always best to go for one of the ones who are best known. One of those is 'Certa Pet' who provide a service which includes a certification letter from a mental health professional. Their certification is accepted by just about anyone who matters, and they are recognized in every state. For those people with service animals there are numerous laws which give them rights in relation to where they can take their animals, however, these are not as comprehensive when it comes to ESAs, of which therapy cats are the most common. However, there are two very important laws which owners of therapy cats should be aware of. The first is the Fair Housing Act (FHA), and the second is the Air Carrier Access Act (ACCA). The reason for this is that the FHA grants owners of therapy cats and other ESAs rights which prevent landlords and homeowner’s association enforcing ‘no pets’ rules against you, even of that apartment block or condominium already has that rule in place. With the ACCA, it allows you to travel on airlines with your therapy cat and do so without being charged additional fees. To be able to benefit from these laws your therapy cat must be certified as an ‘emotional support animal’ which we discussed in the previous section. We all know cats can be great pets, and that itself can bring cat owners benefits to their health. With therapy cats this goes a stage further with their calm, friendly and affectionate nature giving the person they are there to help, benefits to both their physical and mental health, which in some cases can be life changing.